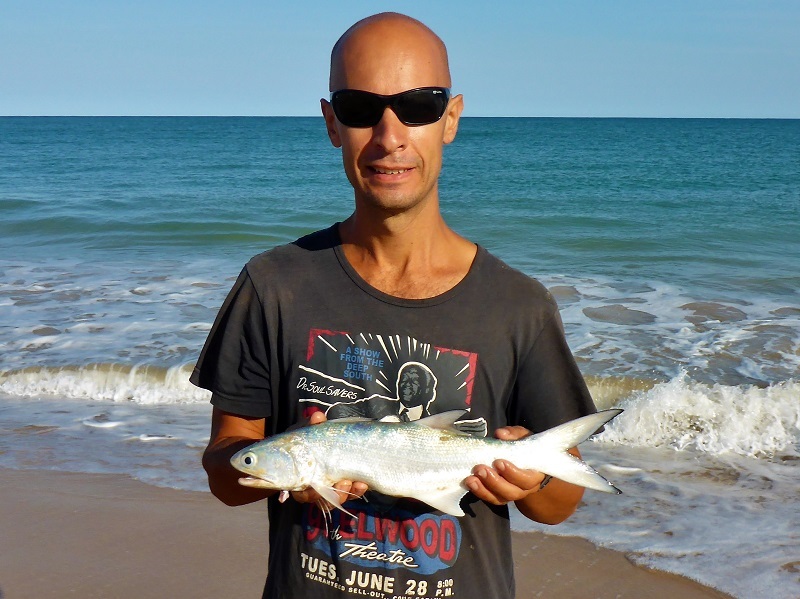 With no luck catching threadfin salmon around Broome and Cape Leveque, it was time to get serious and actually catch one. I did that at Barn Hill, a spot at the northern end of 80 Mile Beach. 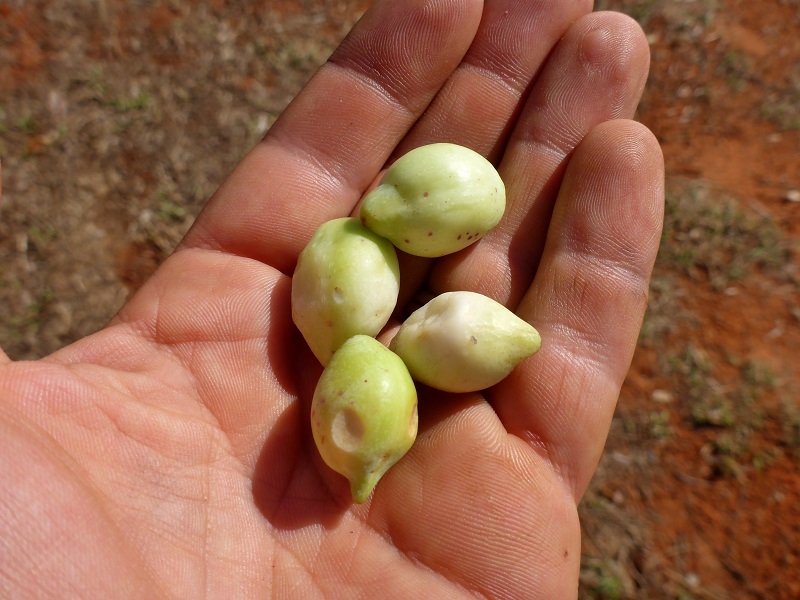 Apart from fish, Barn Hill also produces bush tucker, with Gubinge (terminalia ferdinandiana) planted around the camping area. It’s the world’s most concentrated natural source of vitamin C.
Next was 80 Mile Beach Caravan Park, but not before a quick stop at Sandfire Roadhouse for a beero. Fishing at 80 Mile beach delivered shark after shark. One notable catch was a small hammerhead. I’ve never caught one before and it was interesting seeing the hammer up close. I chucked him back. At the southern end of 80 Mile Beach is Cape Keraudren. It’s an interesting area with lots of different habitats, reef, mangroves, creeks, beach and coral. We collected a load of oysters off some reef, from the outside they looked like reasonable size but actually the meat was very small. I tried fishing for more salmon, inspired by the 84 year old chap camped next door to us who seemed to be able to catch a couple every time he went out. I dunno how how he does it, I caught nothing. Cape Keraudren, with the interesting natural environment and reasonable camping facilities, would be a sweet spot to hang out for a while, if it wasn’t for the superabundant midge population. I think it’s the most amount of midges we’ve ever experienced, particularly at the lower camping areas close to the mangroves.